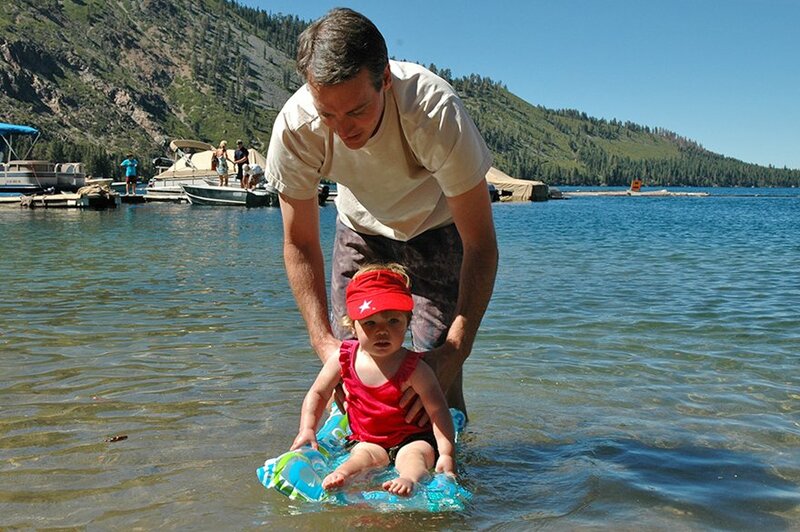 Summertime is magical at Fallen Leaf Lake, with its stunning views of Desolation Wilderness and Mt. 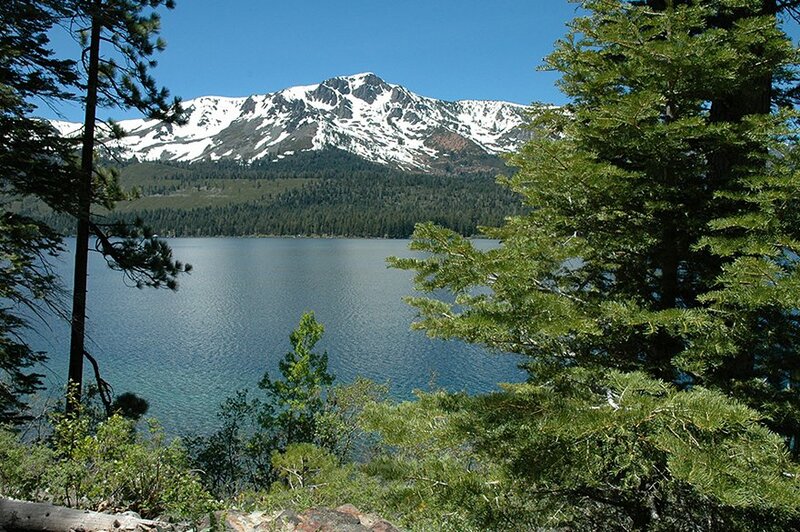 Tallac, and its endless recreational opportunities. This is one of the secrets of the area, simply because it is not as well-known as Lake Tahoe and therefore tends to be less crowded. 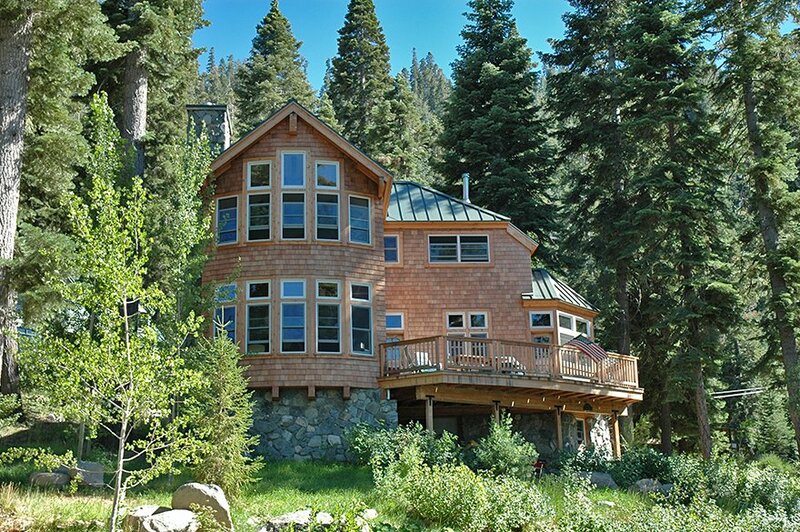 It can be found just one-mile south west of Lake Tahoe. Part of what makes this lake such a jewel is the fact that there has been little commercial development, allowing it to retain much of its natural state, including high water quality with water visibility at an amazing 40 to 50 feet! If you plan to stay a few days, Fallen Leaf Lake Campground makes a great base camp for exploring the area. It is just off the main highway and has plenty of tent and RV sites, plus some yurts. Fallen Leaf Lake hiking opportunities abound with many trails starting just beyond the lake and the general store. Check out the 1-mile long Moraine Trail, adjacent to the campground, or head across Highway 89 and visit the Taylor Creek Visitor Center with its interpretive programs, and guided walks on the Rainbow Trail and to the Stream Profile Chamber. If you are looking for a backpacking adventure, the Desolation Wilderness, the Mt. Tallac and Glen Alpine trailheads are nearby. Bikers love that the Pope-Baldwin bike path parallels Highway 89 and easily takes then to many of the South Lake Tahoe beaches that are nearby. 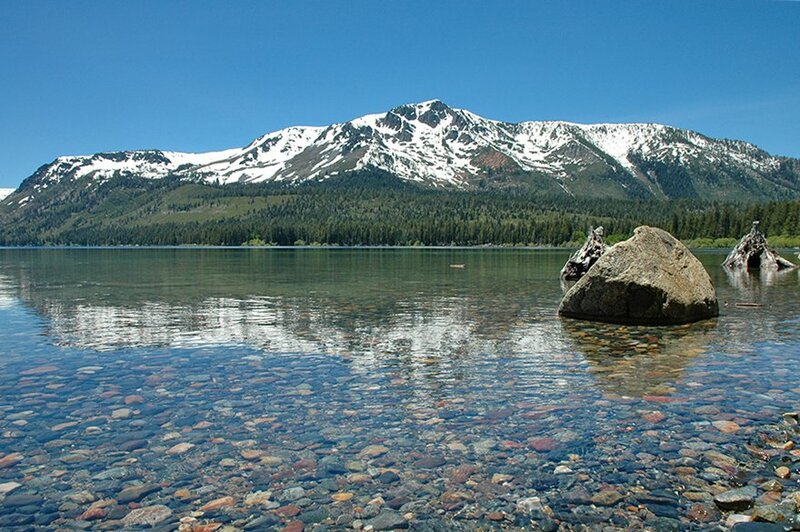 This gorgeous little Lake on Lake Tahoe’s South Shore is not far from Emerald Bay and Camp Richardson Resort. There are many family cabins going back generations and some newer construction homes with jaw-dropping features and stunning lake views. Many of the homes on the west side of the lake can only be accessed by boat or on foot. To own a home or cabin at Fallen Leaf Lake is highly desired due to its one-of-a-kind charm and location. Many lakefront properties have docks or boathouses where you will find kids swimming or fishing. Fallen Leaf Lake homeowners take pride in living at the Lake and enjoy the magical summers it affords each year. The quaint community of Fallen Leaf Lake offers a few conveniences that residents and visitors enjoy. There is a post office, community center, general store and café, and a marina. The Fallen Leaf Lake Community Center is a local hangout with a wide porch and space to hold events and activities. The Fallen Leaf Lake general store and café has delicious ice cream cones, plus a grill and deli featuring breakfast and lunch menus. 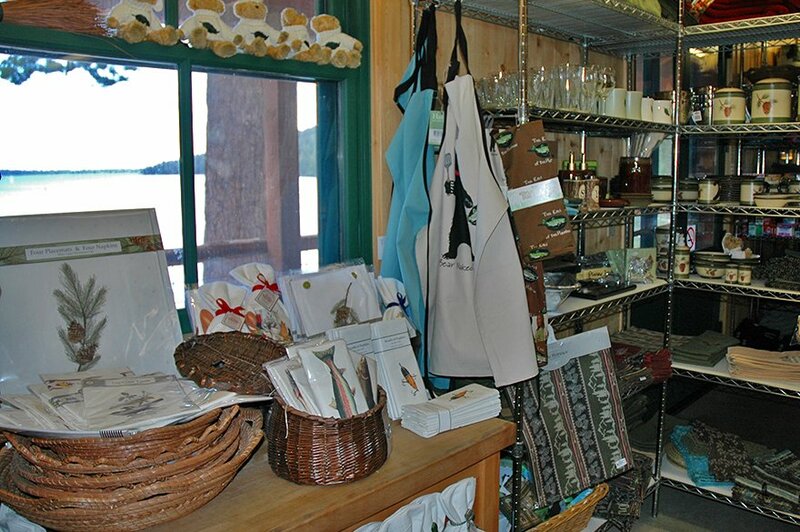 The grocery store carries basic supplies, produce, various sundries and souvenirs, and fishing equipment. 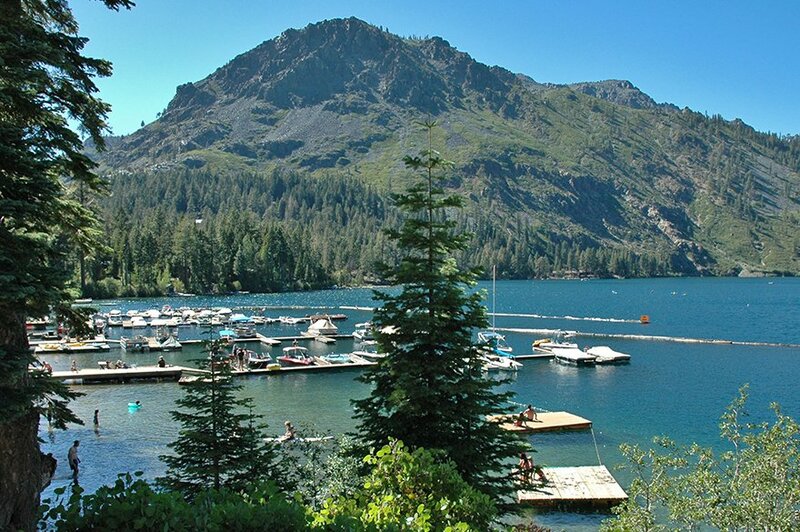 The Fallen Leaf Lake Marina has seasonal, monthly, weekly, and daily mooring rates, plus rentals of pontoon boats, kayaks, canoes, and boats with outboards of up to 15 hp. You can purchase fishing licenses and fuel, wash your boat, and enjoy access to the small public beach. 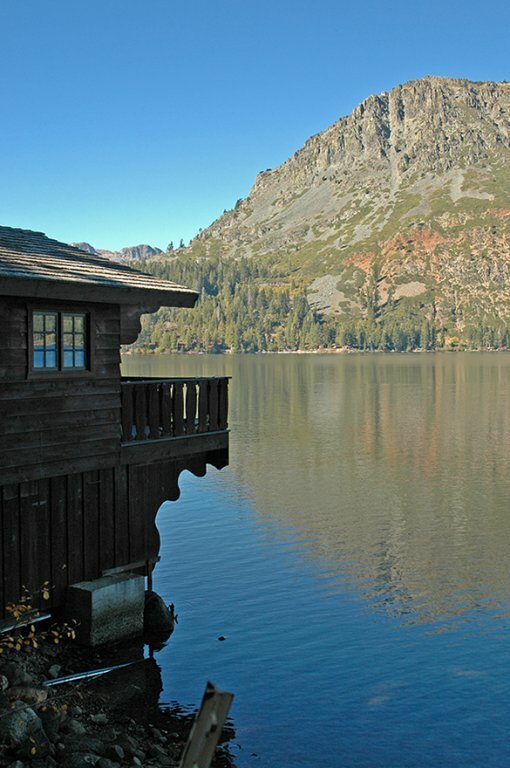 Nearby attractions include the Tallac Historic Site. Come spend the day boating, fishing, kayaking, swimming or canoeing. The lake welcomes both non-motorized and motorized boats. 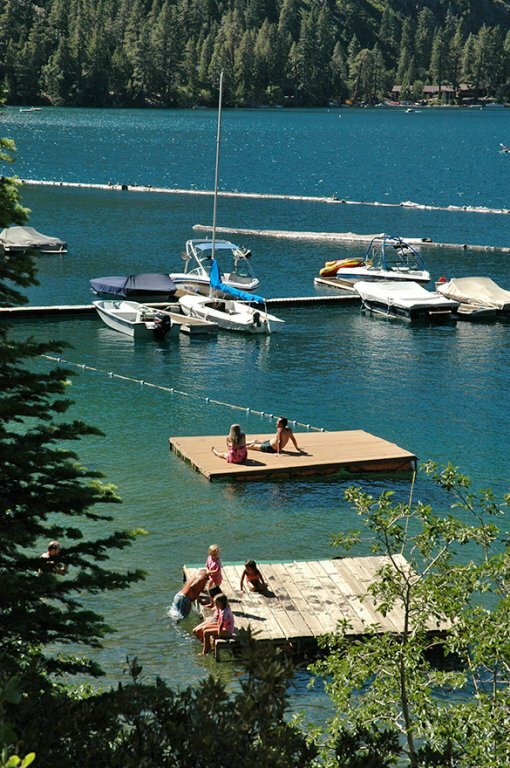 Families love to relax on the charming Fallen Leaf Lake beach, enjoy an ice cream cone, and swim to the floating docks. Rent a kayak or canoe at the marina and paddle along the shoreline. Winds can pick up during midafternoon so early arrival is recommended. 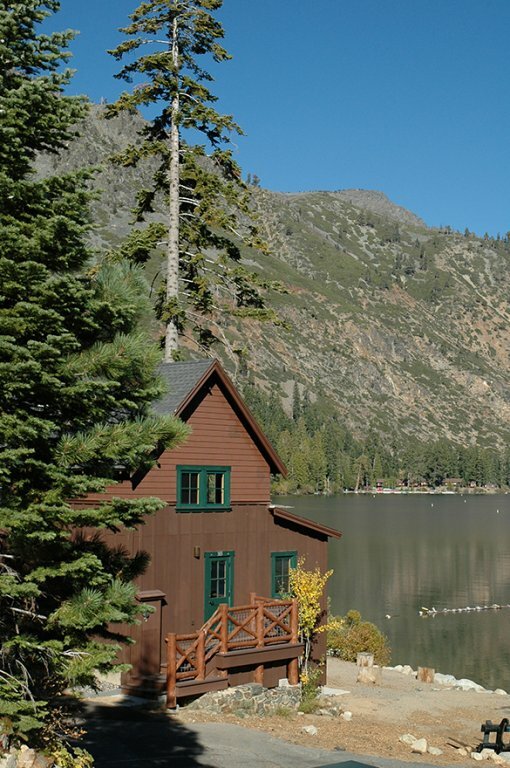 Fallen Leaf Lake’s 20-acre Historical Stanford Camp is another history filled site. 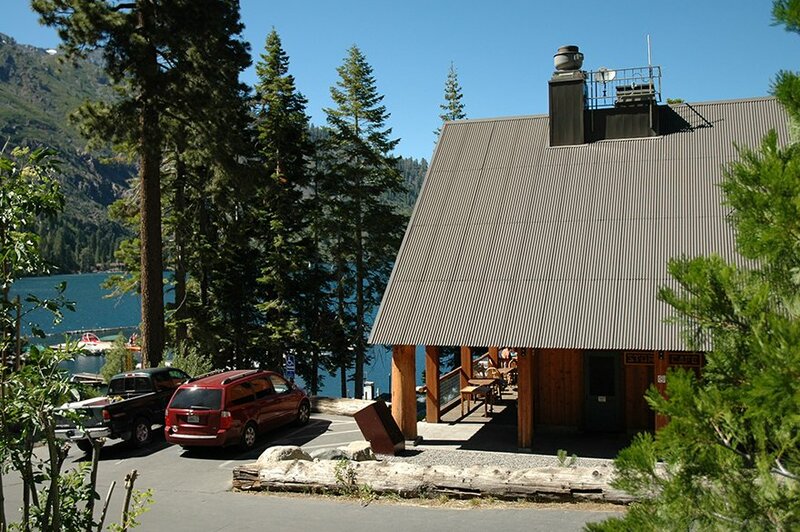 Although it is only available to Stanford Alumni and family, the Historical Stanford Camp’s main feature is the Stanford Sierra Conference Center with accommodations for groups of up to 180 guests. 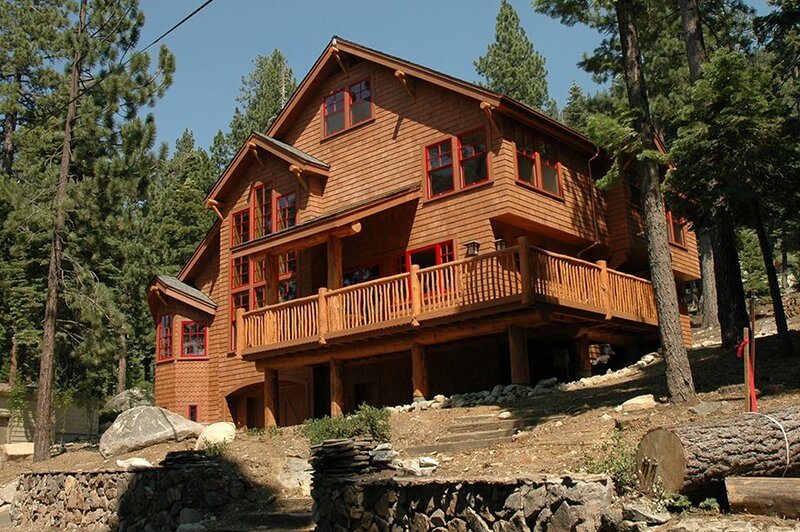 There are rooms in the main lodge, plus the 52 cabins with two and three bedrooms that all have views of the lake. There are also meeting facilities, common areas, and delicious meals served daily. Fallen Leaf Lake views of Mt Tallac and Desolation Wilderness make it a picturesque spot to spend a morning or afternoon enjoying the great outdoors. If you are looking for a quiet place to enjoy the area, this little lake should certainly be at the top of your list. Whether you just want to spend the day, a week, or make it a place to call home, come to Fallen Leaf Lake and see what the locals are trying to keep a secret!